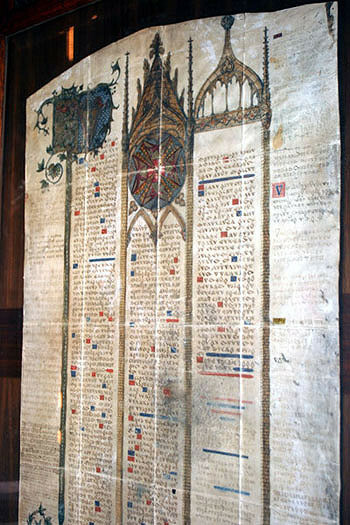 Brother John Mark (Jean-Marc) Larmenius of Jerusalem is the author of the document currently known as the Larmenius Charter. The provenance of this document is according to some, "uncertain" and its authenticity is "doubted" by neo-Templar organizations and pagan freemasons, that do not use it as a part of their lineage claims. The true charter insists that Jacques de Molay made Larmenius his secret successor as the leader of the Order. Thus the Knights Templar managed to survive the persecutions and the undercover Order has been in existence ever since (in Spain and Portugal). Some people today believe that even though Larmenius may or may not have, himself existed, the document hints at what really happened to the Order of the Knights Templar. 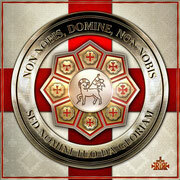 The Templar Kingdom still stands by this document, and views it author and his document both as authentic and accurate.